AnnaSophia, honey – Lock the door, we’re leaving this film … we’re better than this. Sometimes there are reasons people haven’t made a real name for themselves in the film industry. After watching “Sleepwalking”, maybe that’s the case with writer Zac Stanford and director Bill Maher. Stanford and Maher worked together on “The Chumscrubber“. Reviewed by Barrett Calhoon (whose opinion I trust), I contend that it was due more to the cast and because it was directed by someone else. With “Sleepwalking”, there is a decent cast. While I’m up and down with Charlize Theron and Nick Stahl rarely impresses me (did anyone else see “Disturbing Behavior”? 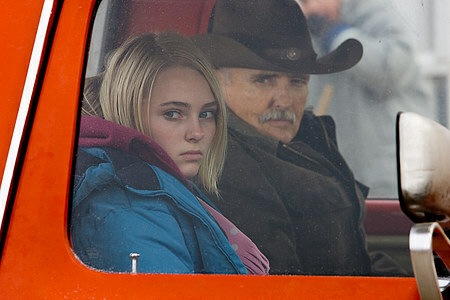 ), I am a big fan of AnnaSophia Robb’s future in acting and Dennis Hopper is a badass. Suffice to say, I didn’t think that any problems with the film would stem from the actors … at least I was right there. Also, the cinematography was pretty good. There are many shots utilizing the sparse landscape to its fullest, taking advantage of those golden hours at dawn and sunset. Additionally, many of the driving scenes depicted one of the more beautiful winter phenomenons of snow drifts wafting across the road – a personal favorite of mine. In the film, Theron plays a single mom, trying to do the best for her daughter (Robb). Unfortunately, her intentions and her actions don’t match up; shacking up with a marijuana dealer that gets busted, forcing her to move in with her brother (Stahl). From there, Robb’s fortunes go from bad to worse, as Theron tries to find another guy to support her, vanishing into the night leaving only a note that Stahl should take care of her daughter until she returns. He isn’t quite equipped to care for himself, let alone anyone else. After a series of setbacks, Stahl resorts to a desperate act at the behest of Robb – taking to the road, trying to avoid the authorities who want to place Robb in foster care because they don’t deem him fit to be a legal guardian. Along the way, Robb’s guarded and closed-off character opens up a little bit and Stahl’s meek, pathetic persona finds some measure of confidence. Although I laid it out rather blandly, my problem isn’t with the story. I thought the process of this young girl – already having seen too much for her age, having to learn to cope with all of these adult issues and the bonding process between her and her uncle – was great material to explore in this film. Stahl has never been better, as his awkward acting style worked for the character – a man who has never stood up for himself and has to come to terms with the troubled relationship he and his sister had with their father. AnnaSophia Robb is quickly becoming a favorite of mine, having the rare ability as a child actor to deliver performances wise beyond her years. While the film has a problem focusing on whose perspective to deliver the story from, whenever Robb is at the center of the scene, she carries its melancholy and embittered tone deftly and ably. In regards to Theron, (while I’m sure her attachment to the project helped get financing) I didn’t find anything special in her performance, having seen better and worse from her. Dennis Hopper, on the other hand, was a welcome bit of fresh air, literally. The filmmakers made yet another misstep, saving him for the last quarter of the picture; especially considering his role in the issues his children carry are the basis for the entire film. While his character comes in far too late, it picks up the film right as it was coming off the rails. Hopper manages to make his character quite believable and considering I might have thought of walking out on the film if it weren’t a free screening, his appearance gave me reason to tough it out. But once his role has played out, the film once again veers off into troubled territory and succeeds in ruining any hope I had that the film could pull it together. One sad aspect of making independent films can be the trouble in getting financing. I realize this and fully appreciate when filmmakers make lemon drop martinis out of oranges … wait, that’s not right … never mind. One glaring example of these particular filmmakers either not having a music budget or making yet another bad decision was their inclusion of A Fine Frenzy’s song, “Come On, Come Out”. Now, let’s be clear. I like this song. I own this song. But using it for the trailer, in a key driving scene where the lyrics are meant to tell the story and then once again as the credits roll is overkill. There must be plenty of great music artists who would give up their songs for a film project just to get the exposure. Don’t pin your hopes on making a connection with the audience through that one song. Speaking of the driving, while I appreciate the cinematography and landscape of the film, the filmmakers clearly weren’t schooled on how to shoot car scenes where the car is being towed on a platform to allow the actors to concentrate only on their performances. Not only didn’t they try to mask how raised up off the ground the truck feels, keeping the vehicle at speed was a issue. Especially in the final scenes, it looks like Stahl’s driving his truck at about 10 miles an hour on a state road which would probably have a speed limit of 45 to 55 miles an hour. 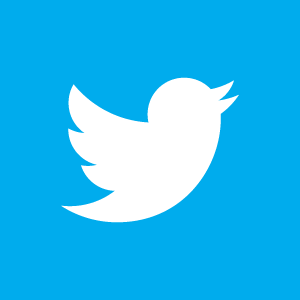 It was just plain annoying to notice this on top of so many other things. Hell, I’m actually getting tired of finding faults with the film. I went in hoping for a sublime experience, allowing my world and that of the film’s to collide. What I got was disappointment and far too much time in a theater with some guy behind me hacking up his lung (if you’ve got such bad congestion, STAY HOME, it’s called common courtesy, try it sometime). Only because it had the makings of a good film and because of the actors themselves, am I’m giving “Sleepwalking” a 1 out of 5. It escapes my dreaded bag of hammers but it fails to deliver much else. For once, I’d actually like to see a remake – with the main filmmakers far, far away from that process. Sadly, I’m just going to have to curl up into the fetal position as I await next year’s “G.I. Joe” film and yet another bastardization of my childhood. Sometimes Hollywood, I hate you … I really hate you. Sobering Conclusion is powered by	WordPress 3.1.4 and delivered to you in 0.358 seconds using 36 queries.